Safely transport your DJI Spark with the silver Nanuk 905 Waterproof Hard Case. 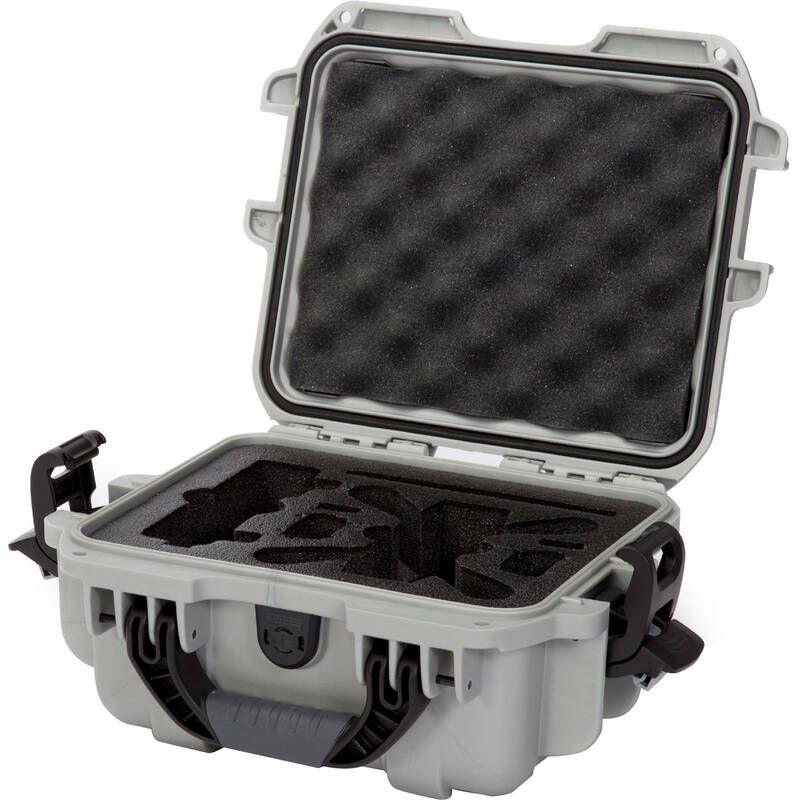 This case features a custom-foam interior that's designed specifically for your quad and its accessories. In addition to securely holding your Spark with props and flight battery attached, the case will also accommodate two spare batteries, a charger and power supply cable, remote controller, smartphone, and two additional sets of folding props. Box Dimensions (LxWxH) 13.0 x 11.1 x 6.5"
905 Waterproof Hard Case for DJI Spark (Silver) is rated 5.0 out of 5 by 4. Rated 5 out of 5 by Greg from Very impressed! Excellent product better than describes Very impressed with my overall purchase of this,product from B & H Photo. After I did my homework and found this product on the B & H user-friendly website I was even more impressed when it arrived ahead of time and was better than the description! An excellent storage/travel case for my DJI Spark. Thank you! Rated 5 out of 5 by John from Nanuk cases rule! I bought a custom molded Nanuk case for my DJI Ronin MX this past summer, and loved it so much that I bought another custom case for my DJI Spark. Buy this case! Rated 5 out of 5 by Anthony from Perfect fit for all my DJI Spark Gear Everything fits like a glove making it easy to carry and have everything protected. Light and compact. Exactly what I wanted for transport and storage. Rated 5 out of 5 by Mike from Good product Works great. Foam is cut for perfect fit. Wish the charger and prop guards fit too but that would have to be a bigger case.